Before taking you alphabetically through the actual procedures we provide, we would like to focus on the fundamentals of the patient-doctor relationship. This relationship may be a bit old fashioned but has served well here as the core belief for several decades. Once any primary concern or emergency has been addressed, our doctors strongly believe in the value of a preclinical interview, comprehensive exam, treatment planning and consultation. We are quite sure this sets us apart from what has been considered “normal” in dentistry in America these days. Often patients begin with hygiene treatment before even meeting the doctor, receiving a handful of x-rays and treatment has begun…by some stranger behind a mask. PRECLINICAL INTERVIEW – As a relationship based dental practice, we believe all goes better if the patient and doctor have open communication. We schedule time at the beginning of each new patient examination for a one to one conversation between our new patients and doctors. This is done away from the treatment area of our office for each to begin knowing the other. 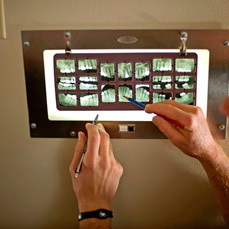 This allows conversation to blend into our patients’ dental concerns, from their viewpoint, in their own words. Our doctors listen. COMPREHENSIVE EXAM – As referenced in our blog, the Comprehensive Exam is integral toward an optimal, individualized treatment plan. An ideal treatment plan cannot result without an adequate level of effort and time spent to diagnose. Around here, it is our goal to educate our patients and, when appropriate, include their input into the treatment plan. TREATMENT PLANNING – The records and findings of the comprehensive exam, including the subjective concerns of our patients, are the building blocks of each patient’s individualized dental treatment plan. With health at the center of the treatment goal, our doctors explore and define every reasonable treatment option. Correct sequencing and outcome of treatment results from proper prior planning.